The idea of giving something away for free and still making money sounds a little wonky at first glance. Think about how many times you’ve started a free trial for software or services. If you liked the product, you probably ponied up the cash to buy it. But what if there hadn’t been a free trial? You would have been much more reluctant to pull out your credit card and might have even gone to a competitor of the product instead. How about free samples? If you’ve ever been to Costco or similar discount big-box stores, you know they’re all pushing free samples all the time, and it’s not just a coincidence. 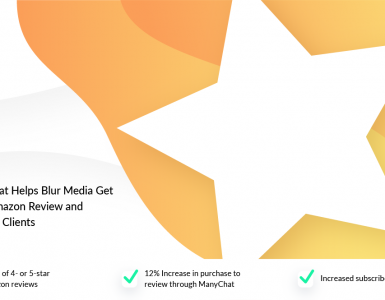 ManyChat even offers plenty for free, ranging from their free tier to their Messenger Marketing and Chatbot Mastery course. In fact, the word “free” appears no less than five times on the homepage. Free is one of the most powerful ways to provide leads and/or established customers with huge value to build brand awareness and loyalty. And so, with this information in mind, here’s yet another feather in the cap of Messenger Marketing: bots are pretty much the perfect tool for running a giveaway campaign, often with (much) higher engagement rates than email. 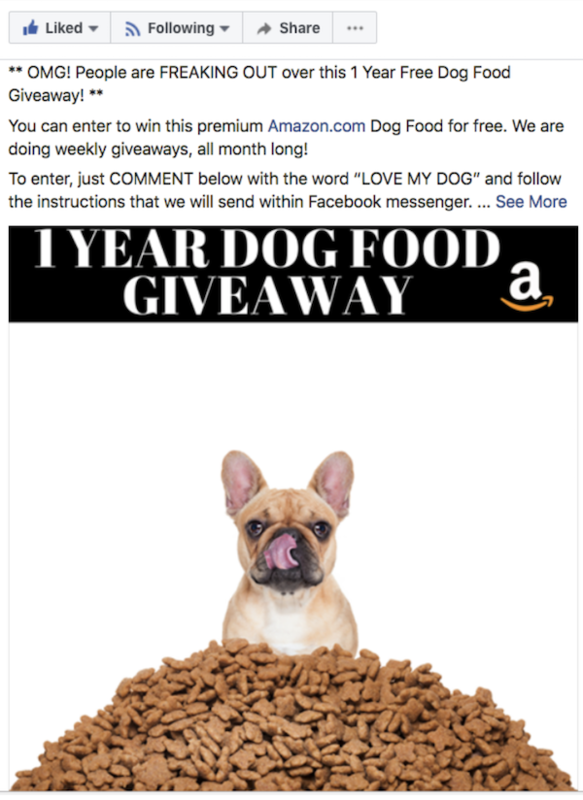 Today we’re digging into one of the most effective ways to utilize freebies, a time-tested classic marketing maneuver: the giveaway. A lot of ecommerce business owners tend to shy away from giveaways, especially when they’re just starting out. With a limited budget and inventory, the idea of giving away their precious product for free seems foolhardy. This, however, is a pretty massive misconception. 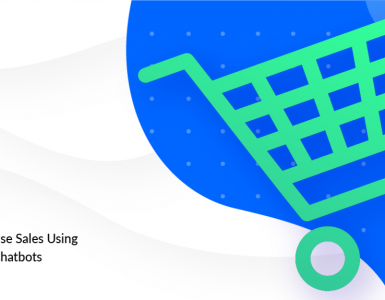 Product launches—whether it’s your first or your hundredth—are a super effective time to launch a giveaway campaign, whether that’s in the form of a contest or a “buy one get one” scenario. The bottom line here is that giveaways are an investment, not a loss. Suppose that you run a giveaway contest on Facebook. While plenty of successful campaigns give away a single product, let’s go a little crazy and say you were giving away 10 items. To keep things easy, let’s say your cost per product is $10. That’s a total of $100 “lost” to the giveaway campaign. However, say that your contest racks up 1,000 new leads (not unheard of by any stretch of the imagination). That’s $0.10 per lead… which, to put it plainly, is dirt cheap pretty much regardless of your product type or niche—physical product sellers typically pay significantly more per lead. That, of course, is a fairly simplified example, but the point stands: giveaway campaigns + messenger bots = a match made in heaven. Let’s dive into the details of how you can run one of these campaigns yourself. Time for nuts and bolts. Create a landing page for your giveaway. 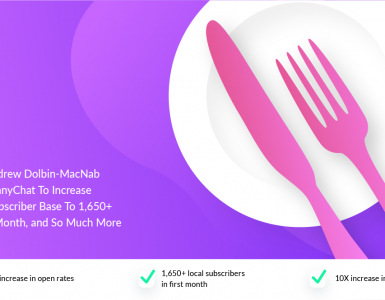 ManyChat’s free growth tools make it easy to create a straightforward opt-in page. Get visibility for your giveaway. This will likely be via Facebook ads. There are free methods of course (including simply posting the giveaway details on your page), but for the most visibility ads will be best. Create your messenger bot sequence and tie it all together. This is where the real magic happens. That’s it—three steps to generate sales, leads, and reviews by giving away a handful of your products for free. The messenger bot sequence is where the real meat and potatoes are found, which we’ll discuss shortly. 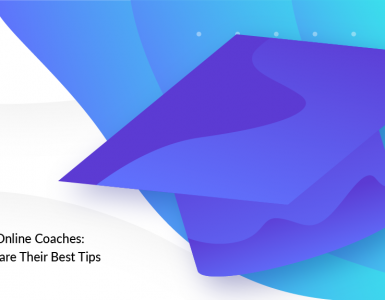 If you’ve been an online entrepreneur for any length of time, steps 1-2 are likely things you’re already pretty familiar with, although we’re going to dive into a few expert tips to improve your chances of success with this particular strategy below. The first thing to be aware of is that landing pages for messenger bot giveaway contests should not utilize long form copy at all—we’re not saying that it’s impossible, but generally speaking it’s totally unnecessary and will likely be detrimental to the performance of your campaign. In other words, we’re going to be applying the good old K.I.S.S. principle here: Keep It Simple, Stupid. What the product is and why it’s so great. Keep in mind that it’s possible people coming across your giveaway don’t know what your product is or why they’ll need it. Your copy should touch on the most important benefits and pain point solutions of your product. How to enter the contest. This will likely be something along the lines of “Click the ‘Send to Messenger’ button below OR to comment below the post to be auto-added to your list, depending on your backend setup OR to enter their email address. In some cases, you can link your email marketing platform with your ManyChat messenger bot. More on this later. When the contest ends. It has to end sometime, after all. Setting a firm date will create a sense of urgency for users and give you the opportunity to reach out to winners (and, as we’ll see later on, to contact the majority of users who didn’t win). Keep the images and graphics light, with a clear eye path to your CTA and/or button. If entering the contest took too long or if too much of your information was demanded, unless you really, really wanted whatever it was, you were probably out of there. 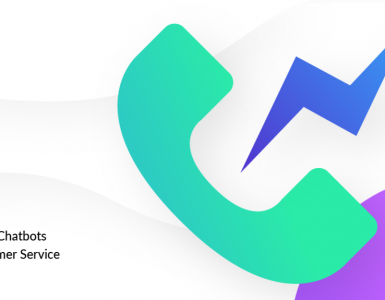 If you’re not a designer, don’t sweat it: ManyChat’s free growth tools make putting together a landing page with these features a breeze. Above is an example campaign. As you can see, short ‘n sweet is the order of the day here as well. In large part, you’ll want to mimic the same strategies that you would use for a landing page. However, if you look a little closer at this campaign, you’ll notice that users can opt-in to the giveaway simply by commenting below. If you haven’t ran a contest with comment opt-ins, you’ll be blown away by the response rate they can get. It’s easy and simple for people to enter, and yes, they do occasionally tag friends, which is just more free exposure for your contest. Clearly explained that you’re going to follow up via Facebook messenger and that they’ll need to follow the instructions. You must be 18 years of age or older to enter. US residents only. This promotion is in no way sponsored, endorsed or administered by, or associated with Facebook. You understand that you are providing your information to the owner of this Facebook page and not to Facebook. Also, and this should really go without saying, you need to be running a real contest with real winners—if you try to go “blackhat” and get cute with a campaign like this, it’ll more than likely bite you back down the line. Tip: always split test your ads. Now, let’s move on to the fun stuff, your messenger bot sequence after a user opts in. This is where things get exciting. Designing the sequence of your messenger bot messages is easy thanks to ManyChat’s Flow Builder. We’re going to proceed assuming you have a basic understanding of messenger bot sequences. If you don’t, read the post linked above. It’s fairly obvious that a giveaway gives you a great opportunity to build a strong relationship with the winner(s). That’s great, but the vast majority of your entrants won’t be winners. There’s power in numbers, and the people who didn’t win are your bread and butter. You’re not going to warm up to everyone on your first message; it takes time. Your complete sequence might last anywhere from two weeks to a full month—you’re playing the long game here. Day 1: Send them a welcome message confirming their entry into the contest. This is actually your opportunity to confirm that they want to hear more from your bot. Typically you’ll have them reply with a string or tapping a check mark (e.g., “Reply with ‘enter contest’ to get all the details from us!”). Day 7-10: Typically contests run for 7-10 days, so somewhere in this time range you need to announce the winners. Again, you have an opportunity to offer those who didn’t win the chance to buy your product at a discount (as something of a consolation prize). Day 15: Another follow up message, letting users know this is their last chance to get a discount on your product. Day 20: At this point if a user purchased your product, they probably would have received it in the mail. Now is your chance to ask for a review. Day 25: Review follow up. As you can see, this sequence runs for nearly a month. There are three offers for your product at a discount—and asks for an honest review of that product twice. It’s important to ask for reviews, whether you’re doing so via messenger bot or any other mode of communication. 70% of consumers will leave a review for a business… IF you ask them for one. This sequence can of course be tweaked in many different ways. Maybe on day 10 you offer them a free ebook that really dives into how to use your product and the benefits of doing so. Maybe on day 15 you offer them the steepest discount yet, along with a video demonstration of your product in action. When you set up your flows correctly, you can even segment your entrants into different categories. Winners can receive offers for complementary products later. Entrants who haven’t purchased the product by a predetermined time might be offered a different product. There are so many different ways to spin your sequence and flows that you should be mentally salivating at the possibilities. Bottom line? Free is good. Facebook messenger bots offer an incredibly unique opportunity. If history has taught us anything, those entrepreneurs who jump on new technology enjoy the most rapid and profound growth. (Don’t you wish you were doing email in the late 90s?). If you’re an Amazon seller or other ecommerce entrepreneur, you’re plain old silly if you ignore this technology. There’s so many different ways to use it, but we humbly believe giveaway campaigns are among the most powerful. Don’t miss this gravy train. 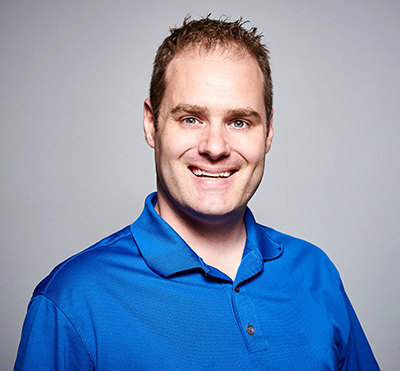 Ben DeVries is the co-founder of Messenger Bot University where he along with business partners Paul Baron and Nate McHenry teach people how to 10x their businesses using proven Facebook Messenger Bot Strategies without breaking the bank or needing to be an ads expert. He has sold over 2 Million Dollars on Amazon since 2016 and has built a team of outsourcers to help grow his business. Ben loves to share what he has learned over the years with other people and help sellers improve their business.